​LEWISVILLE – ML Realty Partners is building a new warehouse project in Lewisville. 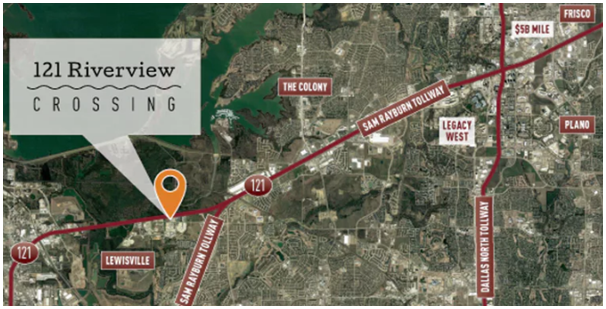 The 121,000-sf speculative building is planned on SH 121 north of Midway Rd. Called 121 Riverview Crossing, the industrial project is planned for smaller tenants in an industrial market that is seeing construction of many much larger buildings. The building will be constructed just west of Toyota Motor's new headquarters and the booming Legacy West complex. ​​​Want more data? See DFW Industrial Market Research.